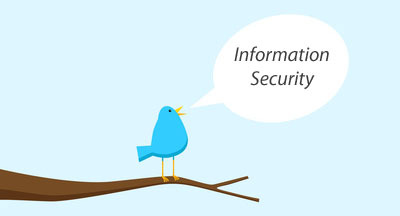 Having used Twitter for a while years, I can say that its role as social networking medium for members of the information security community has been steadily growing. The value Twitter offers infosec people in three-fold: it helps keep up with interesting security-related content; it offers a forum for interacting with fellow infosec professionals; and it assists in researching current security events and trends. Twitter users often act as curators of content, helping to identify which news stories, research papers, podcasts, etc. you should be paying attention to on a given day. To benefit from this aspect of the service, it’s best to sign up for Twitter and follow people whose taste in security content matches yours. Of course, each list reflects the preferences and interests of the individuals who created it. If you don’t want to join Twitter, you can follow the updates of its users by subscribing to the RSS feed that services such as TwitRSS.me generate. However, this method is only practical when you want to keep up with a small number of Twitter users. Technology is making the world smaller, someone said once. Twitter certainly contributes to this dynamic: It’s incredible how many members of the information security community are just a click away on this service. You might shy away from approaching a particular individual at a conference or worry about emailing the person you don’t know. On Twitter, such social stigmas are almost non-existent. People generally feel contacting each other—making comments, asking questions and providing answers, without much hesitation. This aspect of Twitter makes the site a fantastic source of inspiration and knowledge. Interestingly, Twitter is even becoming the platform for discussing contents of blogs, with comments being shared as Twitter messages instead of being added to the blog post’s web page directly. The volume of information posted on Twitter can easily be overwhelming. This aspect of the site makes it a good source of various types of real-time and historical data related to information security. For instance, you might use Twitter search to check what people are reporting regarding an unfolding security breach or ongoing attack; you might find information about defensive and offensive actors; you might the mention of hashes of malicious executables or suspicious IP addresses, etc. For additional thoughts along these lines, see my earlier posts How to Use Twitter for Information Mining and Monitoring Social Media for Security References to Your Organization. For more tips on getting the most out of Twitter, see my earlier post Joining The Information Security Community on Twitter. Oh, and you should probably follow me on Twitter: @lennyzeltser.